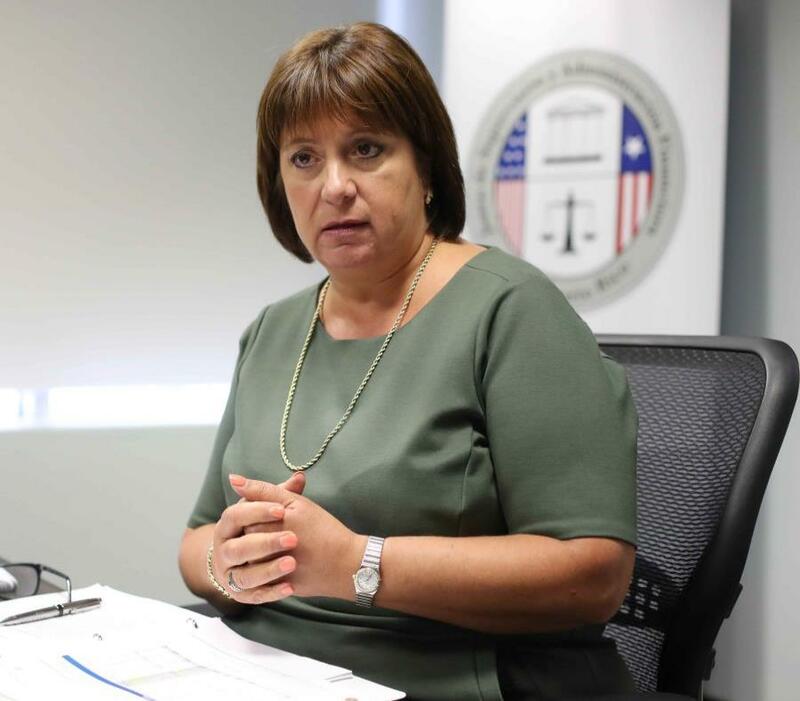 Washington - The Executive Director of the Oversight Board Natalie Jaresko stressed the importance of implementing structural reforms over the next 10 or 15 years to prepare Puerto Rico for the end of federal disaster funds. The impact of the estimated $80 billion that would enter Puerto Rico's economy to mitigate the devastation caused by Hurricane María is a "silver lining” in the face of the worst disaster in a century, and the fiscal and public debt crisis, Jaresko said this weekend. However, these should be seen as a "cushion of time" for the structural reforms needed, Jaresko said in an interview on the "Slate Money" podcast as part of the agenda of interviews and meetings she had in Washington D.C. last week. "It's the best time to make difficult decisions," said Jaresko, who was asked about the measures she took when she was Ukraine's finance minister, such as the fiscal initiatives and austerity measures imposed on Puerto Rico by the Board and the government of Ricardo Rosselló Nevares. The Board overseeing the financial decisions of the government of Puerto Rico has the ambitious goal of having a balanced budget for the fiscal year 2020-2021 if they manage to restructure the public debt during the next 14 months. Recently, Jaresko referred to changes in labor and tax laws, and to transform the power grid in order to ease doing business in Puerto Rico. When asked if she had the support of the Puerto Rican government regarding the reforms she is promoting, Jaresko pointed to former Education Secretary Julia Keleher - not by name - "consultants" from the Public Safety Department Rosselló Nevares, and the legislative leadership on the power grid. Federal disaster assistance, according to Jaresko, can help create in Puerto Rico "21st-century infrastructure" and temporarily boost the economy. However, she noted that "growth, the competitive nature of the economy, is not really clearly defined in the law (PROMESA).” And that will be necessary to prevent the island's population from declining further, she said. To this end, Jaresko said people should have access to good health services, education, security, and jobs. "If you can't provide (those services), people will go elsewhere," she added. Jaresko told El Nuevo Día last week the Board won´t complete its work at least until 2024 -as long as PROMESA prevails-. Having a balanced budget by June 2021 implies that the Puerto Rican government must have three years of balanced budgets, and medium and long-term access to financialmarkets at reasonable rates in order to end the Board´s control over the island's elected government. “You can´t argue that you have a balanced budget until you start paying off debt,” she said on Thursday. To do so, the Board, the government and creditors must have restructured all the debt under Judge Laura Taylor Swain's consideration, including general obligations. The Board has yet to file a certiorari before the U.S. Supreme Court to review the decision of the Boston First Circuit Court of Appeals, which declared unconstitutional the appointment of the current members Board members. First Circuit gave President Donald Trump and the Senate until May 16 to reconstitute the Board or appoint new members. Jaresko will have the opportunity to explain the debt restructuring and the reorganization process on May 2 before the House Committee on Natural Resources, whose chairman, Democrat Raúl Grijalva (Arizona), wants to review the powers of the Board and has questioned the austerity measures imposed on the island. "How do you go from the Chicago suburbs to becoming Ukraine’s finance minister and then effectively running Puerto Rico?, was Félix Salmon´s tweet to announce the interview with Jaresko. The governor's representative to the Board, Christian Sobrino Vega, also responded on Twitter with an attack on journalists who participated in the podcast for because “they didn’t think inviting a Puerto Rican was necessary,” and considering it "second rate public relations," which he attributed to the fiscal entity's increase in its “lobbying” and public relations expenses.